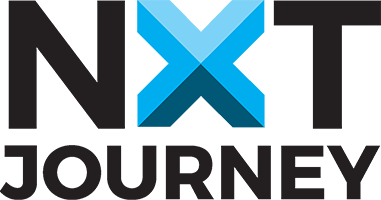 Thank you for shopping with NXT Journey and associated brands. All our shipping is completed by Australia Post. You have two shipping choices when purchasing our products. Standard Post: When a delivery is attempted and you are not home, Australia Post will leave your parcel in a safe-as-possible position near your front door. If you are concerned about potential damage or theft of you parcel, please see option 2. Standard Post-Signature on Delivery: In this situation, if delivery is attempted at a residence when no one is home, the parcel will be taken to your designated Australia Post Office or Distribution Centre for you to collect at a later time. A notification will be left for you in your mailbox. You may be required to provide photo identification when attempting to collect your parcel. If delivery is to an Australia Post PO Box, it will be safe to select the Standard Post option. International buyers – please note: Import duties, taxes, and charges aren’t included in the item price or postage cost. These charges are the buyer's responsibility. Please check with your country's customs office to determine what these additional costs will be prior to buying. In some cases these import charges could be up to 30%, but more likely 10%-20% of the value of your purchase, but remember by not being charged 10% Goods and Services Tax (Australia) this will somewhat balance the costs. These import charges may take affect when you receive or pick up your parcel from the post office. If you require your order super fast, please contact us via our Contact Us Page to request a quote for express post. If the product you purchased is faulty or damaged prior to you receiving it, we are here to make it right. Please note that all our bags come with a 12 month warranty, so you have peace of mind there as well. If you have purchased the wrong size, colour, shape or other descriptive element, we will definitely do our best to overcome this for you, however, the decision to provide a return or refund will be made on a case by case basis. You will be responsible for paying for your own shipping costs for returning your item, unless the product you purchased is faulty. In this case, we cover the return shipping. Shipping costs are non-refundable.